In a village near Mbale, in Uganda’s East, a schoolteacher and farmer named Beatrice gave me a tour of her new home. The house was made of hand-made bricks, red as the earth on which it stood. In the dim, cool interior, Beatrice guided me from room to room. “Here is for the babies,” she explained softly, smiling with quiet pride. Beatrice was one of the local caretakers of a solar water pump recently installed in her village by Innovation: Africa, one of the Israeli organizations in OLAM‘s coalition. She and women from nearby villages had previously had to walk miles to access clean water for their families, and relied on rain collection for their farm work. Innovation: Africa‘s Ugandan engineers, working with Israeli colleagues, had installed drip-irrigation systems alongside the new water pump, and Beatrice and her friends had seen significant yield from the farming collective they’d formed on the surrounding land. 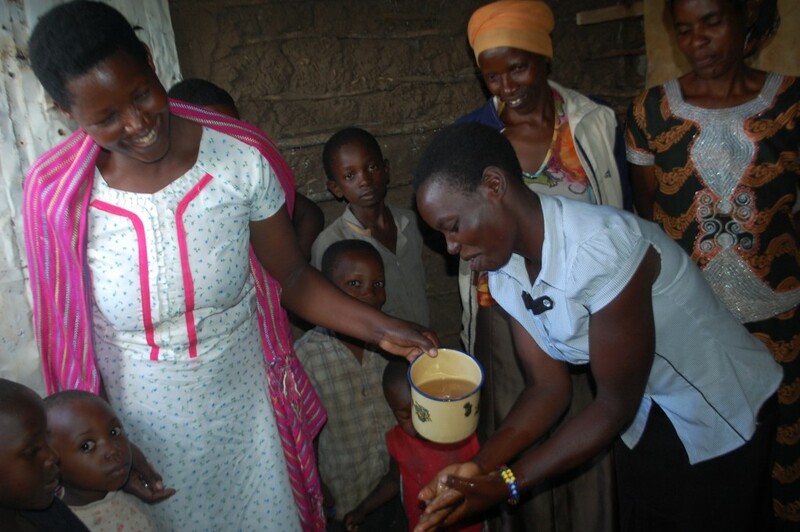 As a result, Beatrice and her husband had been able to build this simple, beautiful new home. Several days later, I visited a very different kind of home. 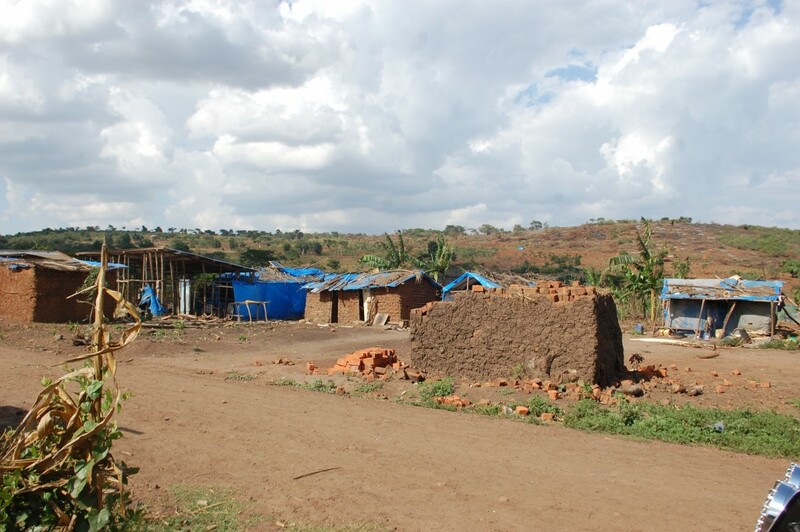 In Bukompe Refugee Camp – a community of 600 families– I was welcomed into a home that was, like most of the others I saw stretching across miles of hillside, constructed of sticks and mud. The families here, the local women told me, had fled conflicts from Rwanda and the Democratic Republic of Congo. Unlike my visit with Beatrice and her friends, who smiled proudly for photos in their fields, here I felt that I perhaps should not have brought my conspicuous camera. Here, I was encountering people at their most profoundly vulnerable; they had known, and lost, their permanent homes, and were now struggling to provide for their families through subsistence farming. These refugees did not yet have brick houses to show me. They had not, I imagined, dreamed of raising children under the conditions that were now their daily reality: without access to clean drinking water, in huts pieced together from cardboard boxes. This trip was my first time visiting Africa, and that day was my first experience in a refugee camp. I’d been brought there by the community’s “hygiene ambassadors” – local women who, trained and supported by Sundara, had learned to make soap which they distributed to the neediest families in the camp, while providing hygiene education to their community members. The ambassadors’ spirited laughter as they introduced me around the camp and invited me to wash my hands with soap they had made were a bright spot against the dry landscape. Standing in Bukompe, taking in sights which should have felt foreign and new to me, I was struck by an alarming feeling of familiarity, sparked by a flash of blue shining in the sun. Suddenly it hit me – many of the homes, hardly more than tents, were weather-protected by bright blue tarps. I recognized those tarps: they were the same kind my father uses every year to construct the walls of our family’s sukkah. Each year of my life, I have spent a week eating and often sleeping in a sukkah – a shack held together precariously with tarps and branches – designed to remind me of the Jewish people’s historical experience as wanderers. The ritual is meant, I always learned, to activate my empathy for those who don’t have permanent homes. Yet it seemed to me, standing in Bukompe, that I had never fully fulfilled the mitzvah to sit in a sukkah. The true fulfillment of the Sukkot ritual was to step beyond the simulation: to anchor the ritual in an actual encounter with the terrible reality it represents. I spent eight days in Uganda. Eight days is not much time for an individual to make a lasting impact on a place or its people. But in the vocabulary of Jewish ritual, eight days can be deeply significant. Sukkot itself is eight days long; a week-long immersive experience which, tradition posits, can have a profound impact on an individual and community’s ethical life. In the case of my trip to Uganda, eight days was enough to shake me out of my comfort zone, to expose me to a kind of human need that I cannot and should not un-see. If those initial eight days were to form the entirety of my encounter with extreme poverty, the trip might have been, at best, a waste of time; and at worst, selfish and voyeuristic. But for the rest of my life, the blue tarps of my sukkah will serve as my yearly reminder of that experience. For eight days each year, I will now take a brief dip into the pain of those stick-and-mud huts, the contrasting powerful pride Beatrice took in her solid brick home. My hope is that each year, the ritual of Sukkot will keep the initial experience close and alive, and thus deepen my commitment to address the needs of vulnerable people for the rest of the year. Giving Jewish context to our engagement with the developing world is not just about dressing up universal ideals in Jewish terms. It’s about identifying where the broader context of our Jewish lives can enhance our capacity to serve – not just in the field itself, but in the way we take our field experiences home: how we integrate active global citizenship into our everyday lives. 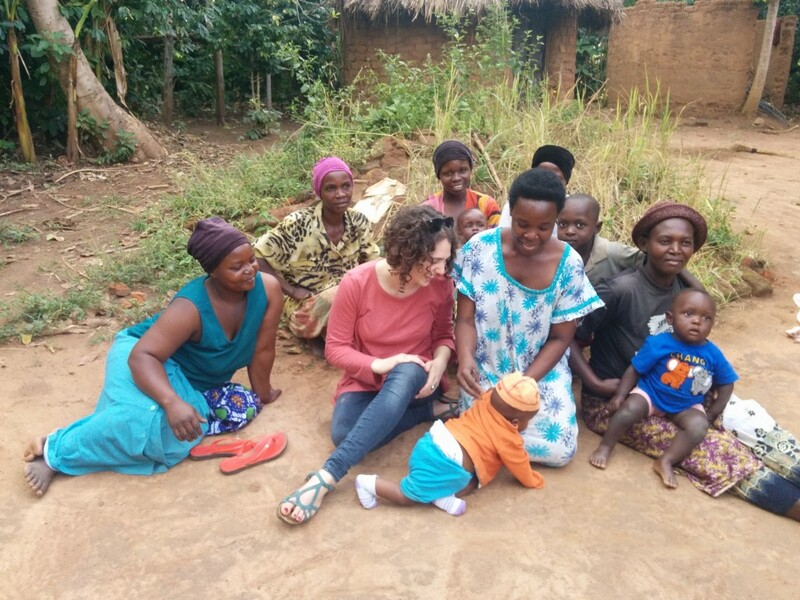 This Sukkot, while the sights and smells of Uganda are still fresh in my mind, I’ll be thinking about the ways I can take my Jewish practice of ritual out “into the field”– and, just as importantly, how I can maintain my commitment to global justice from within the walls of my own safe home.